An extra is a background player in a movie or tv series. Typically they do not speak. They are used to fill out the scene to make it look more natural. Does it cost anything to join MCTV? If you are an experienced actor or model and you meet our criteria there are no fees payable. See MCTV for Models and Actors for more info. At MCTV we are genuine about getting our talent work and keeping the communication lines open. We send you email updates whenever your profile is submitted for work so you know what’s going on. If your photos aren’t working for you, you can even come in for a reshoot for no additional charge. The fees to get started with MCTV are minimal see our Rates and Fees page for more information. Many people enjoy this kind of work so much that they would do it for free. Fortunately the pay for being an extra can be quite substantial. See our Rates and Fees page for more information. Even our busiest performers would call this work infrequent. If you are selected for a major movie and have the availability you can have weeks of continuous work. For the most part you can expect the work to be in fits and spurts. MCTV has placed more people in Australian Film and TV than any other agent, but like any agent, we can’t guarantee work. All we can guarantee is that we will put your profile forward to the productions for which you are best suited. You will receive an email each and every time we put your photo forward so you will know we are working in your best interests. We will usually submit your profile many times each month. The frequency depends on what productions are being filmed and what kind of people they are looking for. Ultimately the decision to hire a particular performer is up to the individual production. For more information about the kinds of productions we work on see our Recent Work. Can I do this work if I have a full time job? It depends upon the flexibility of your work. For most productions there will be ample notice for you to request time off from your full time job. In some cases we have emergency requests for talent for the next day and in these cases we would check with people registered on our availability list first. People who register on the availability list have let us know that they are willing and able to take jobs at short notice. They might stipulate that they can only take short notice jobs on certain days of the week or during university holidays. Do you need experience to be an extra? You don’t need to have any experience. For many roles you will just be asked to be in the background of the scene acting natural. The experience you gain as an extra can help you progress to getting featured roles too. Many of our extras get to the point where they would prefer not to do the extra work any more and just do featured roles. Confidence and an ability to take direction are great assets for a performer, extra or otherwise. Of course acting training and experience are all valuable too. What about 50 worders and featured roles? If you are just starting out then being an extra is a great way to get the experience you need to take on bigger roles. As you progress, you may wish to take one of our casting workshops that will help you land bigger roles through the audition process. At some point you may decide that you only want to be put forward for featured roles. If you are an established Actor, you can choose if you want to be put forward for all work or just featured roles. Some of our actors go on set as an extra and end up being upgraded because of their abilities and the needs on set. How do I apply for Acting Jobs? Please see MCTV For Models and Actors for more information. How do I apply for Modelling Jobs? See MCTV for Models and Actors for more information. 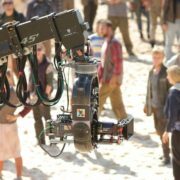 Cattle call jobs for the background of film and TV series. 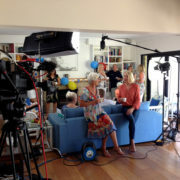 These jobs usually require hundreds of people within a certain age range to fill the background of a scene. These jobs are usually sent to us with very short notice and availability is the key criteria. Basically if you are available and within the age range, you will be selected. If you are interested in getting this type of work, you should email our booker on a regular basis to let him know you are available. Casting consultants send us a brief outlining the type of talent they need and the type of role. Your photographs will be put forward for every role that you are suitable for. If you are selected, you will be asked to attend a casting. If you are successful at the casting you will be selected for the job. Our systems will send you an email letting you know that your photograph has been submitted and for what kind of role. Experienced Models and Actors should see MCTV for Actors and Models. If you are applying to appear as an Extra in Film and TV or as an Actor with limited experience you will need to pay a fee for your online profiles on all the major casting networks. A head shot and body shot are included at no extra cost. Our photographs are done in a professional studio and taken in a standard way with a standard background. These photos are prepared in a way to maximise your chances of getting work. These standardised shots also help the casting consultants and production companies to identify you as MCTV talent from your photographs. As part of the fee we also include updates to your photographs as your look changes. For more information see Rates and Fees. Am I attractive enough to get Film and TV work? Confidence and personality are the main criteria for getting work. In fact, we need a wide variety of different looks, nationalities and ages. Can I be with more than one agent? Some agents will tell you that you can join more than one agency, this is called a non-exclusive agreement. MCTV follows the guidelines set by the Casting Guild of Australia (link http://www.castingguild.com.au/) which requires talent to be with one agent only. It can work against you if you have multiple agents as it causes conflict if two agents send you for the same job. In certain circumstances it is possible to have multiple agents where the agents work in different parts of the industry. For example, some people have one agent for theatrical work and another for TV and Film work. You will need to check with us if there will be a conflict if you belong to another agency. Finally, if you are with an agent and they are not getting you work, you can usually resign from that agent if you would like to join MCTV. If you are a traveller, it is essential that you have a work visa and tax file number to get work. A working holiday or student visa is normally enough. You will need to present these to MCTV when applying for representation. You will also need to be in Australia for at least 9 months. See Rates and Fees for more information. Got more questions? Apply Now for an interview with one of our bookers.